Next month, Listenable Records will unleash the long-awaited new full-length from legendary grindcore masters, LOCK UP. Titled Demonization, the band’s latest incarnation features Kevin Sharp (Brutal Truth, Venomous Concept, Primate, etc.) 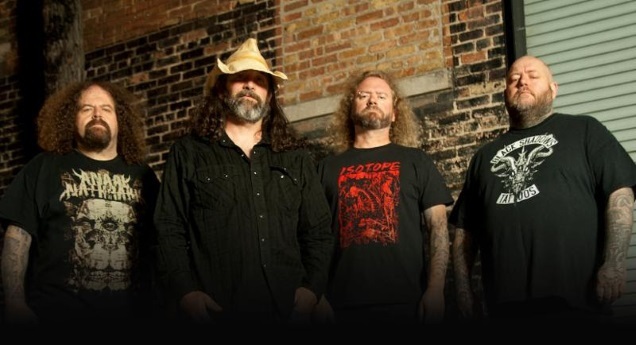 on vocals alongside bassist Shane Embury (Napalm Death, Meathook Seed, Brujeria etc. ), drummer Nick Barker (Cradle Of Filth, Dimmu Borgir etc. ), and guitarist Anton Reisenegger (Pentagram – Chile, Criminal). Boasting a crushing fourteen tracks, Demonization will see release on CD, digital, and limited edition vinyl formats in Europe on March 10th followed by a North American release to be announced shortly. 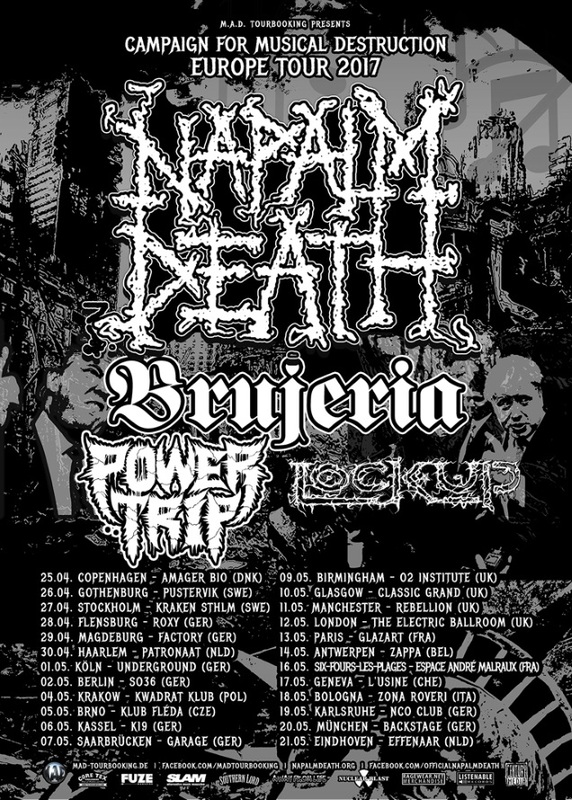 In conjunction with the release, LOCK UP will tour Europe this Spring alongside Napalm Death and Brujeria with additional support from Power Trip. The Campaign For Musical Destruction European Tour 2017 will run from April 25th through May 21st. See all confirmed dates below. Additionally, LOCK UP recently unveiled a brand-new track fromDemonization — “Secret Parallel World” — available by accessing Deezer HERE. 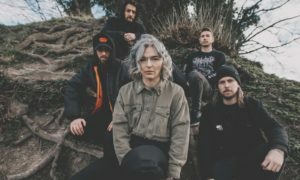 If you missed it, check out “Desolation Architect,” initially premiered at Decibel Magazine, as well as “Mind Fight” below. After amicably parting ways with long standing vocalist and metal brother Tomas Lindberg (At The Gates), LOCK UP was honored to have Kevin Sharp step up to the proverbial plate to infuse the band with his unique take on their patented pandemonic death grind hybrid. 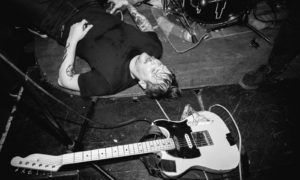 As a longstanding friend of the band, Sharp adds flavors to the already fermenting cocktail of disharmony, a pot that is stirred ferociously with Reisenegger’s twisted riffs, Barker’s maniacal drum battery, and Embury’s subterranean demonic bass rumbles. LOCK UP’s Demonization has been long in the making for a variety of reasons. Logistically, the band is based in different corners of the globe. Life invades at any given moment disrupting the thought process as it does for anyone. 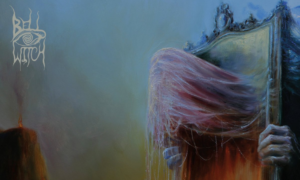 At the same time, the realities/brutalities of life have also inspired the band’s creative process in many ways. Lyrically, this record deals with the rise and the fall and the rise again of the human consciousness: The struggle to resist the powers that be, the addiction of escape, the turmoil of reality, and how to survive the carnage and come out stronger….the reborn phoenix! Musically, Reisenegger’s riffs scream out in every mutated direction – fast, heavy and darkly colorful manifesting a true homage to the underground from which the band members all originate while simultaneously setting new standards in extremity. Barker’s drumming surpasses lightning speeds of precision. The chaos is joyfully indefinable as he charges through the compositions like a bull to the red flag of hate. Embury’s bass tones once again invoke rapid, low-end bestial movements to carry the lost souls across The River Styx! And Sharp, what needs to be said? Nearly thirty years of guttural exorcisms that continue to inspire the world underdogs. It just doesn’t get any better than this.